Vinyl covered bulletin boards. Spice up your office or classroom with colored fabric covered bulletin boards. 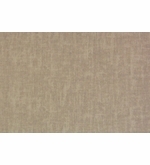 Vinyl fabric covered bulletin boards will add class and color to every situation. 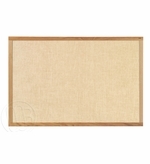 Why would you want to use fabric display boards versus a cork bulletin board? They really are both the same. The cork used in a cork bulletin board isn't what actually holds the tack in place. It is the fiberboard behind the cork in a cork bulletin board that holds the tack. The cork is self-healing so it will close back up when you remove the tack and hide the tack hole left in the fiberboard. A fabric display board works the same way except the fabric will hide the tack hole instead. 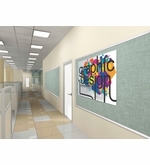 Fabric display boards are an excellent way to add color to your classroom or office walls. 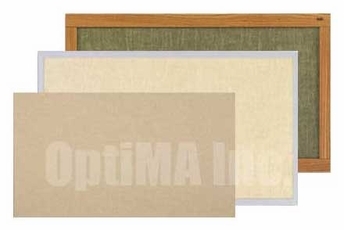 Vinyl covered bulletin boards are available with oak wood frames, aluminum frames or with wrapped edges and no frame. Aluminum Framed units with Twelve Colors Options. We've added a second vendor with more contemporary colors for you choose from! Oak Framed in Seven popular sizes and Twelve Colors Options. 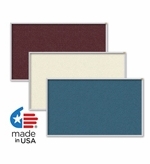 Vinyl boards with wrapped edges available in twelve popular colors.